Hammer hitting Newport middleweight Lee Churcher could experience a resurrection of biblical proportions if he can spring an upset against Essex ticket seller Joe Mullender on Frank Warren’s Xmas bonanza at London’s Copper Box Arena on Saturday evening. Less than three years ago, the then reigning Welsh champion – a father of four – was languishing in a prison cell reflecting on the folly of supplying cocaine; his promising ring career seemingly in tatters. 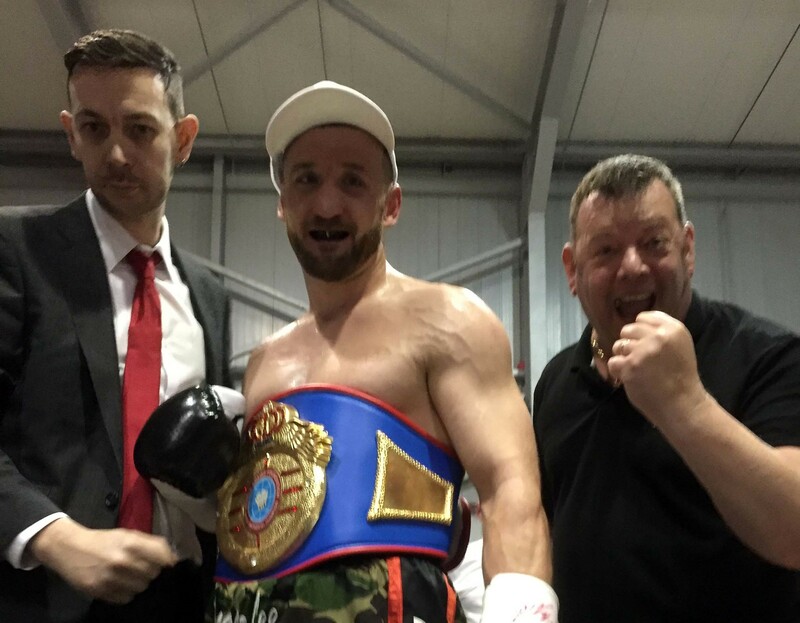 But a stunning victory over leading contender Mullender in their spat for the IBF European belt this weekend could be rewarded with a British title challenge at the ripe old age of 37. ‘It was very bad timing, very frustrating to lose that time, something I hugely regret,’ says the plasterer who served five years in the British Army. ‘But I’ve been able to take a lot of positives from it. It was a turning point both in my life and my career. I was training stupid and my lifestyle wasn’t right. Thankfully, I’ve come out the other side. Cruncher Churcher’s ring journey started at the age of 12 when he laced up hoping to learn how to defend himself. His career in a singlet spanned 14 years but just 26 bouts and peaked with an appearance in the 2009 Welsh ABA final. He was already 28 when he chanced his arm with the profession in 2009 but the popular ticket seller triumphed in just six of his first ten and twice suffered crushing stoppage losses inside five minutes. ‘I’ve always had plenty of power – all of my knockout wins have been one punch jobs – but early in my career my former manager told me to carry the journeyman otherwise I’d get no work,’ recalls Lee. However, either side of his ‘interruption’, Churcher has won seven straight – with several victories achieved by chilling kayos – and insists he isn’t visiting London this weekend for a spot of sightseeing. ‘It’s by far the biggest test, biggest opportunity of my boxing career but there’s no pressure at all on me and I love that,’ says Churcher who has lost just three of 17. ‘I’ve always had a successful building company so I’ve never really boxed for money. I just want to get as high as I possibly can. Any money is a bonus. ‘Joe Mullender’s an interesting fighter, very big for a middleweight. But whereas Joe can only come forward, I’ve got options. I’m known as a powerful puncher and a skilful puncher but I can box front or back foot, move laterally or plant my feet and unload my bombs. Mullender will have to wait to see what I choose. ‘He’ll discover I’m a huge puncher. As a plasterer, moving my arms up and down walls all day helps develop real power and 12 rounds is a long time for him to avoid getting hit clean. If he hasn’t got a granite chin, he’s going to sleep. Coach Gavin Rees, the former WBA Light-Welterweight Champion adds: ‘Not many have heard of Lee but he’s got a decent record and we believe he could pull off a shock. He’s got a nice dig on him; hits far harder than his record suggests. ‘Lee’s a lot fresher 37 year old that I am. Ok, he’s been to jail but everyone makes mistakes in life and honestly, he’s a lovely kid. ‘At his age, you can’t turn chances like this down. It’s a great opportunity to finally showcase what he’s about. Better late than never. You don’t know what might come off the back of it. ‘For once Lee has had six or seven weeks notice. He’s trained very hard and we’ve got him as good as he’s gonna get. Joe Mullender is very fit but, from what I’ve seen, he’s not the best technically, doesn’t bring much fire power. WBO European Lightweight Champion Craig Evans features in an eight round International contest and rising talents Archie Sharp (Welling), Sanjeev Sahota (Hornchurch), Ben Smith (Wycombe), Hamza Sheeraz (Ilford), Umar Sadiq (Ilford) and debutant Harvey Horn (Chigwell) complete an action-packed night of boxing.